Home » Daily Report » action » report on August 1-We shall never give up!protest still continues. report on August 1-We shall never give up!protest still continues. 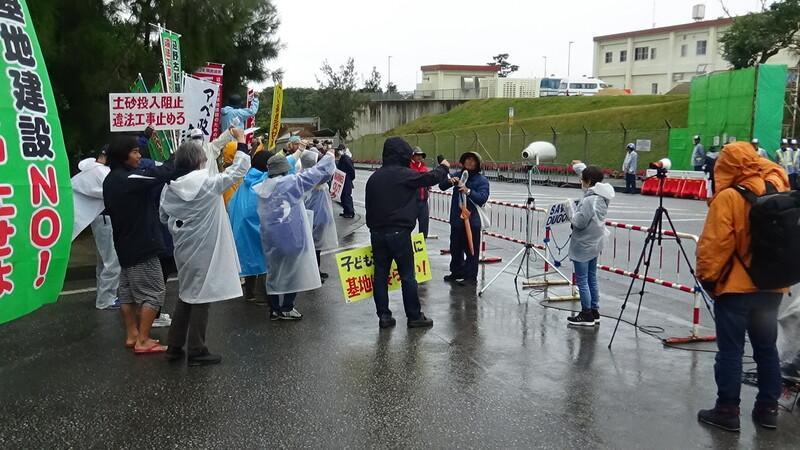 ( in front of the gate) Though it was raining hard in the morning, not like yesterday, the dump trucks with segment came one after another, like yesterday.35 people wearing the rain-coat sat down to do a protest in the rain. It was about 9 am when riot police came to remove the people one after another. It took 30 minutes till they were all removed. The dump trucks were jammed in the north as usual. The police let the trucks in the south come through the gate, they even did not control the traffic in the north. The number of the people who did the protest was 40. The number of the trucks was 466, and the trucks came through the gate three times. We shall never give up. Protest continues. It has been 1485 days since we started doing a protest on July 7 2014. ( stopping dump trucks to the US base at the quarry) 30 people came to the quarry to stop the dump trucks to the base at 7:30 in the morning. The people drove their cars very slowly for the trucks not to go to the quarry. 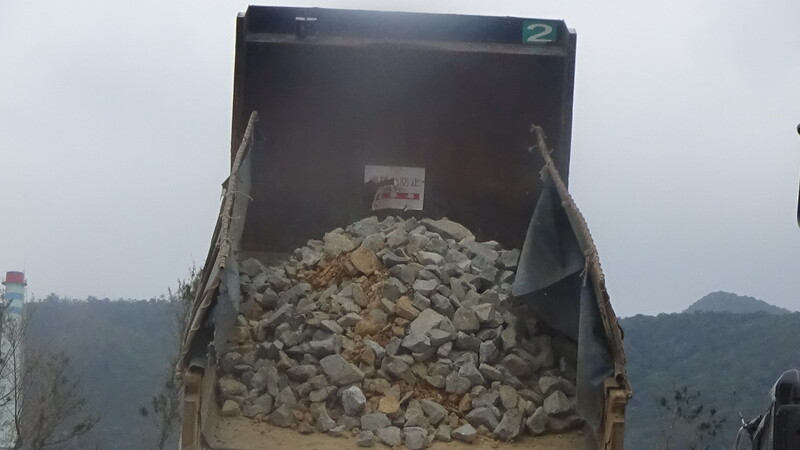 They succeeded to stop the trucks to go to the quarry to get sediment by 10:30. 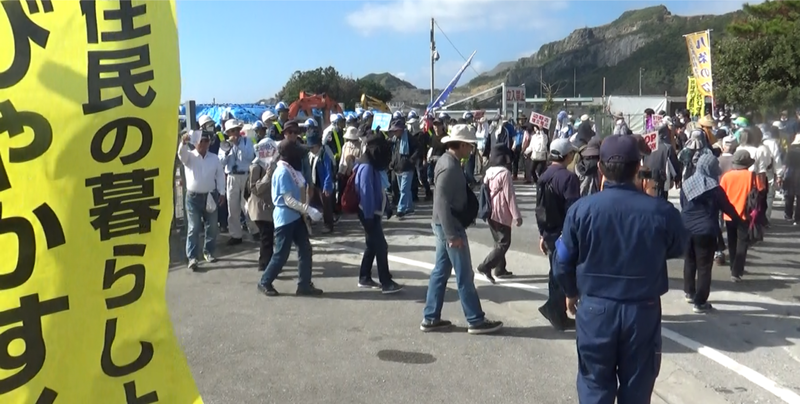 Some people went to Shiokawa port where sediment was taken into ships. 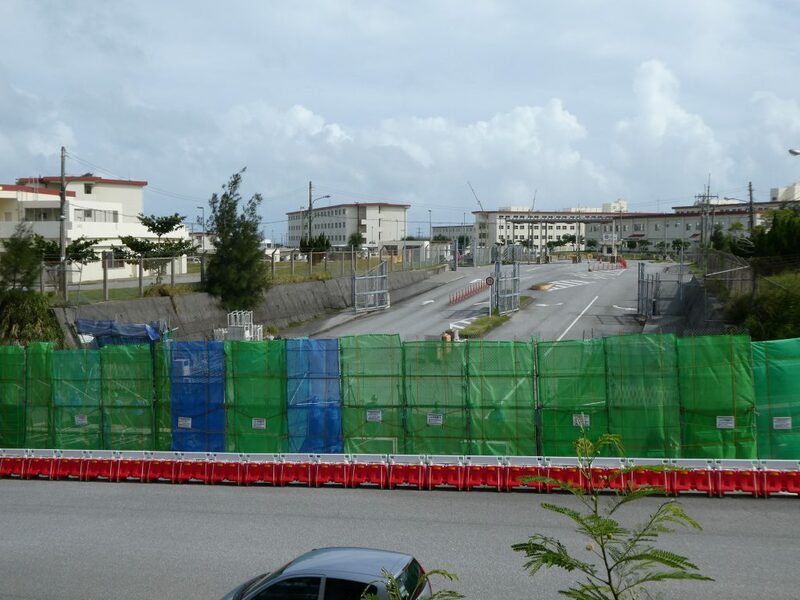 However, 50 national defense bureau were there at the port, to their surprise. Due to the bad weather condition, only 1 truck was succeeded to take sediment into the ship. The weather was with us! ( protest on the sea) Due to the bad weather condition, there was no protest on the sea.